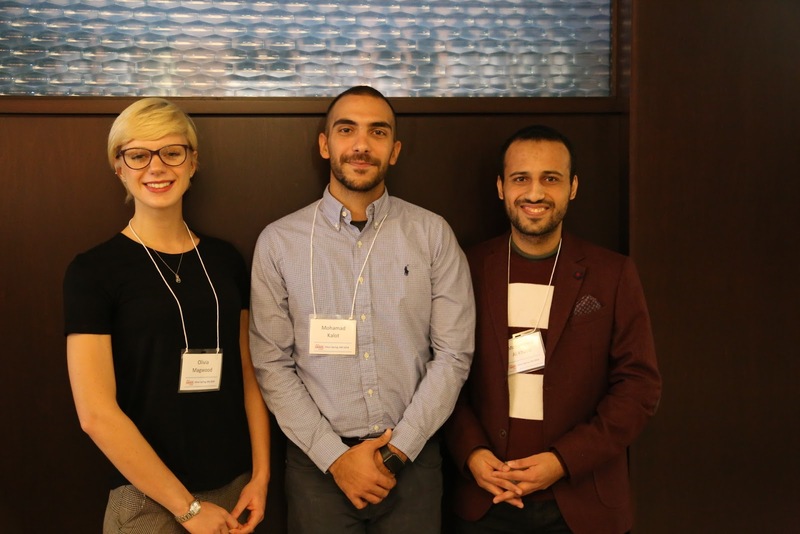 We were pleased to support the participation of three research scholars at our recent GRADE guideline development workshop held in Silver Spring, Maryland, October 17-19, 2018. By providing complementary registration, we hope that these scholars increased their understanding and application of the GRADE approach. As part of the U.S. GRADE Network/Evidence Foundation scholarship, recipients presented to fellow workshop participants about their interests and current endeavors in the field of guideline development. Mohamad Kalot, MD, a postdoctoral research fellow at University of Kansas Medical Center, Kansas City, Kansas, applied for the scholarship due to his interest in improving quality and decreasing disparities in healthcare through the development of evidence-based guidelines. Dr. Kalot presented on his current work in the development of guidelines for the management of rare diseases. Dr. Kalot explained how the development of such guidelines presents a unique challenge in that there is often a dearth of research on these populations, which can affect the directness of evidence among other factors. Olivia Magwood, MPH, attended from the Buyere Research Institute in Ottawa, Ontario, where she has participated in the development of three national and international guidelines. Ms. Magwood presented on the development of the FACE (Feasibility, Acceptability, Cost, and Equity) Framework Stakeholder Survey. The FACE Stakeholder Survey aims to identify cognitive bias that may influence guideline development as well as inform the quality and impact and improve the uptake of evidence-based recommendations in various stakeholder groups. Mohammed Alkhatib, MD, a postdoctoral research fellow at University of Kansas Medical Center, Kansas City, Kansas, applied for the scholarship due to his interest in examining and refining the adoption, adaptation and de novo development (or “adolopment,” for short) of guidelines to be used in lower-resource settings. Dr. Alkhatib presented on the importance of this approach, as well as the unique challenges of tailoring the development of clinical recommendations to settings with limited resources, such as developing nations and areas of conflict. **If interested in applying for a scholarship to future GRADE workshops, more details can be found here: https://evidencefoundation.org/scholarships.html. Please note the deadline for applications to our next workshop in Denver, Colorado will be January 1, 2019.